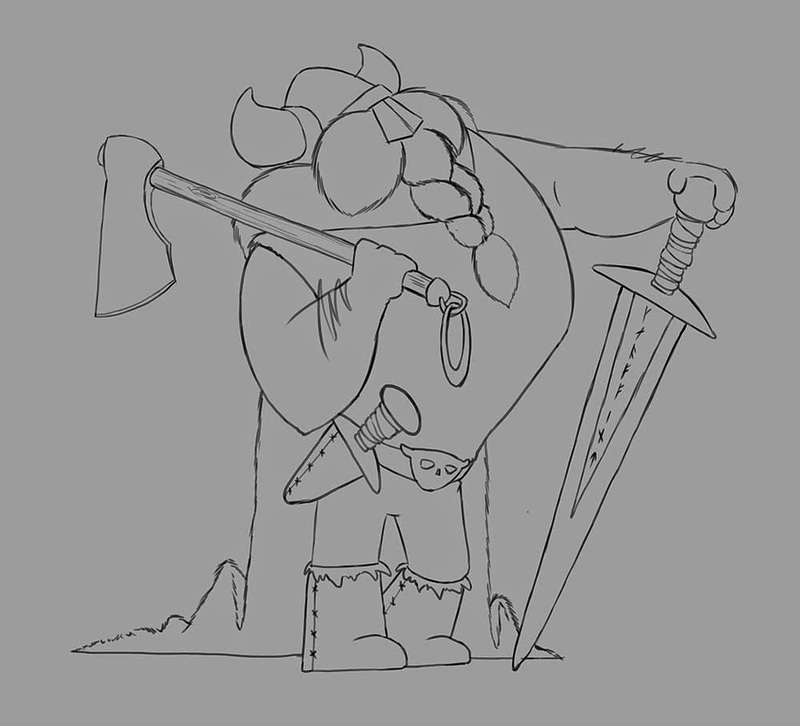 Yesterday I posted a sketch of a Viking which I had fun drawing. After coming back to him this morning with some fresh eyes I noticed a few things that I wanted to change, mainly about his pose. Which when I looked again seemed a little stiff and not so interesting. I also received some really great comments and feed back so I decided to re-work the sketch a bit before I went ahead and spent a bunch of time painting him up. I also received a request to show my working ruff drawings which include my construction etc. When sketching on my Cintiq I tend to redraw and refine over and over making a new layer for each sketch. In this process I tend to loose allot of the ruff feel of my initial drawing which I am trying really hard to rectify. Anyway here is the new version, a progression of all of the sketches from the first to last, and a side by side comparison between were I was yesterday and where I am now. 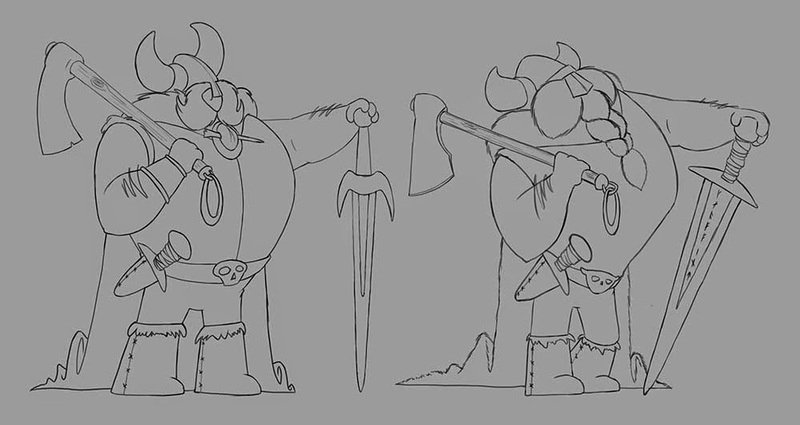 Viking progression. Please excuse the faint one in the first version. Side by side comparison of yesterdays version and today's.